Manufacturer & Exporter of L Key Patch Fitting. 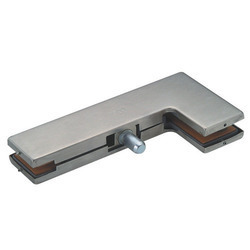 Our product range also comprises of Floor Spring, Patch Fittings and Sanitary Handle. For reasons of quality maintenance, the offered range of L Patch Fitting is manufactured in compliance with the set industry norms and guidelines, utilizing the highest grade of raw materials and modern machines. Owing to this, its strength, finishing, dimensional accuracy, and durability, is widely acclaimed. In addition, it is marked at the most reasonable rate possible.